What Will Happen If You Forget to Unplug Laptop Charger? As laptop charger works by alternating current, it seems to be mysterious for users to learn about its principle and features. Especially in the black box, we just don’t know how it achieves the transition from mains supply by laptop power cord to certain value of output power. Even so, users seem not to pay more attention to the maintenance of laptop charger. The improper operations, such as putting the charger into the laptop bag only few minutes after powering off, are harmful to computer. Among all electronics, charger and some other laptop accessories are more sensitive that any malfunction in details will influence their performance. Then how dangerous it will be if we forget to unplug laptop charger for a long time? If we forget to remove the charger from both laptop and external power supply, it will continue to work. Although the laptop is power off, the charger will continue to provide power energy to laptop charger and some components, about which I have ever argued with my colleague. I think although there’s protection circuit in battery, it will begin to charge again as long as the capacity comes to a certain value. For this reason, the recharging circles will be reduced rapidly. 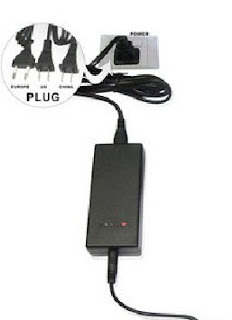 If we forger to unplug laptop charger from external power supply only, it will harm less to us. It can be exemplified by HP 510 AC adapter. As it is designed with an additional function of standby mode, if it doesn’t work for some period, it will enter this kind of situation. At that moment, the working power is lower than 0.5W which is insignificant to laptop charger and safe to users. However, it doesn’t mean there’s no defect for us to keep laptop charger in outlet, even if it is of low power like HP 510 AC adapter. Actually, it is a waste of energy to do like that for consummation in internal resistance, laptop power cord and some other components. Furthermore, all work and no play are still not so good to these parts. Therefore, you’d better remember to unplug your charger a few minutes after laptop power off.